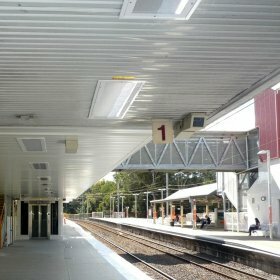 The project involved the upgrading of Petrie Train Station on the outskirts of Brisbane’s north eastern suburbs. 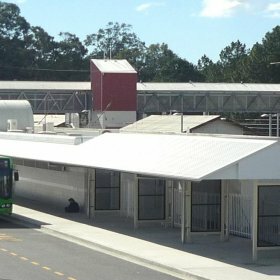 Petrie station is one of the last stops in Brisbane City limits as you head north on the Caboolture line. The existing rail corridor had two tracks in use with an adjacent corridor terminating at Petrie Station. 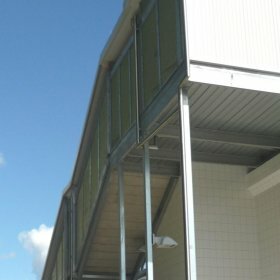 The upgrade would see the extension of the second corridor to Caboolture accommodating the expanding urban sprawl in Queensland’s South East. A new 4th platform was planned to service the second corridor which involved construction of a passenger footbridge to link up with the existing footbridge. Construction of a new lift shaft, ramps and stairs accompanied the new footbridge. New awnings were also constructed on existing platforms. The existing station house was renovated to integrate with the new awnings. All construction was designed to match the existing so the new look produced a consistent character. 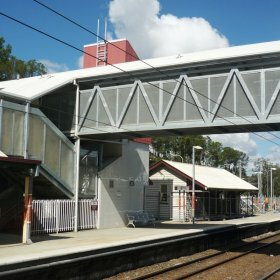 Lambert & Rehbein were engaged by Queensland Rail to provide Structural Engineering services from conceptual stage to project completion.